Many Years to Alexey Kaganzev! On February 4th, 2015 Alexey Kaganzev celebrated his birthday. Alexey Kaganzev was elected Ataman of the Cossack Congress in America twice for years 2011-2013, and is currently active in his home Stanitsa Vineland New Jersey. We would like to wish him great health, and congratulate him on his birthday. The Educational Outreach team of the Cossack Congress in America held a meeting on January 31, 2015. The members of the team reviewed all of the submitted research and have decided to progress into the second phase of the presentation preparation. The team has agreed to hold multiple presentation in the academic 2015 Fall semester, and will deliver it's results of these presentations to the annual Congress in October. The team will present an update of the current status of the educational outreach program to the Small Congress in March 2015. 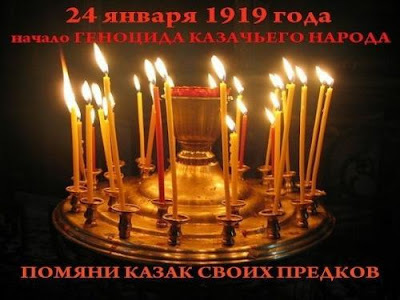 January 25th 2015, the Cossacks of Stanitsa Nikolskaya gathered together to pray for all Cossacks who became victims during the Cossack Genocide. The memorial service was attended by the Vice Ataman of the Cossack Congress in America for the territory of the United States of America Alexey Bocharnikov. Appearance of the Don Cossacks at Kasankaia.—House of the Ataman.—Ideal Dangers of the Country.—Voyage by Water.— Amusements and Dances of the People.—Departure.—Steppes.— River Lazovai.— Visit to a Camp of Calmuks.—Of their brandy distilled from Mare's Milk.—Personal Appearance of Calmucke.— Arts, Armour, and Weapons.— Recreations and Condition of Life. 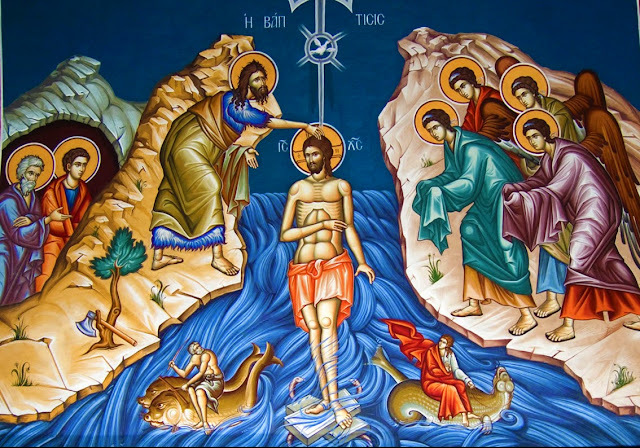 The Cossack Congress in America congratulates everyone with Holy Epiphany! On January 16th, 2015 Vice Ataman of the Cossack Congress in America for the territory of the United States Alexey Bocharnikov attended Celebration of Nativity in the New York Russian General Consulate. Vice Ataman Alexey had explained the current works of the Cossack Congress in America to His Eminence Hilarion Metropolitan of Eastern America and New York First Hierarch of the Russian Orthodox Church Abroad and to His Grace John Bishop of Naro-Fominsk Administrator of the Patriarchal Parishes in the USA. Present state of Woronetz.- Climate and productions.--Garden of Peter the Great.—Inundation and Product of the Rivers.—In crease of Buildings.—Arsenal.——Commerce, internal and exter nal. Wine of the Don.—Change ot Manners, and of Features. —Neglect of Drowned Persons.-'1‘umuli.—Malo-Russians.— Plains South of Woronetz —Celo Usman .—-Podulok Moscow skoy,-—-Mojocks, Ekortzy, and Iestakovo.—Eocova. Sloboda.— Pau lovskoy.—Plants.——Animals.—Trade.—Rash conduct of a. yo u Peasant.--Kazinskoy Ohutor.-Nizney Momon.—Dobrinka.— Metscha.— Kasankaia, ﬁrst Stanitza, of the Don Cossacks.